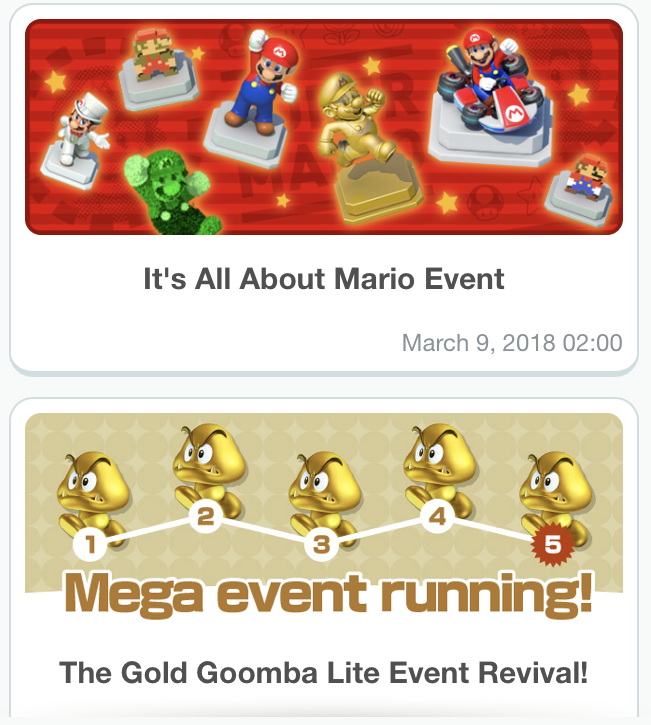 The Gold Goomba Lite Event Revival! Period available: March 9th to March 23rd, 2018. Gold Goomba Lite is a version of the Gold Goombas event in which you have an easier chance to get certain in-game rewards and it's happening right now! Defeat Gold Goombas in World Tour to get some special items! The items you can get from the Super Bonus Game of Remix 10 will feature only items related to Mario. This means you'll have a better chance of getting the Gold Running Mario Statue, and other Mario-related items!